So you can’t get to the ocean to satisfy your watersports cravings. There’s plenty of adventure right near home. Here are five super locations to put your paddle in the water and you don’t even have to take vacation days! Fall Creek is a 57.5-mile waterway that is tributary to the White River in the middle of Indianapolis. It runs from Honey Creek, Indiana, through three counties to where it joins the White River in Indianapolis. Fall Creek is dammed at several locations, providing reservoirs for recreation and energy generation. It passes through Fort Harrison State Park to the northeast of Indianapolis. There are a number of easy put-in points along the creek. One such access point is Fall Creek Corridor Park just below the Geist Reservoir. This city park has thirty parking spots, picnicking areas and an easy ten yard carry to the launch point. There are lots of access points along the creek. You can find more information on kayaking Fall Creek here. 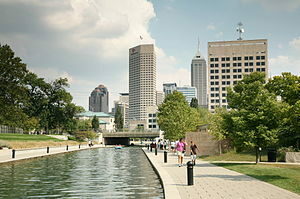 If you are up for an all-urban setting, try kayaking the Canal in downtown Indianapolis. The Canal Walk is a 3-mile stretch of walking paths and cultural activities. There are lots of cool things to do along this stretch, including the Indiana History Center, the Eiteljorg Museum and the White River State Park. Restaurants and shops dot the landscape here as well. Kayak rentals are available along the Canal Walk. Hoosier kayaking enthusiasts join together for kayak outings and education at the Hoosier Canoe and Kayak Club. 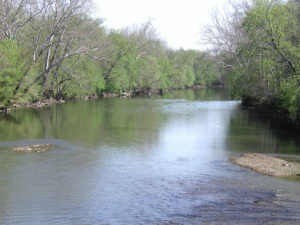 The Little Miami River is a 111-mile tributary waterway of the Ohio River. It flows through five counties in southwestern Ohio to where it joins the Ohio River on the east side of Cincinnati. It has been designated by the US Congress as a National Wild and Scenic River. There are a number of access points in suburban Cincinnati, some of which are free and some of which have fees. Click here for a map of access points and here for a detailed list of access points and their respective facilities. The higher numbers are closest to the city and the Ohio River confluence. Haven’t got your own kayak? You can find professional rentals and excursions here. If you are looking to join a club or find social kayaking excursions, check out the CincyPaddlers Facebook Page. 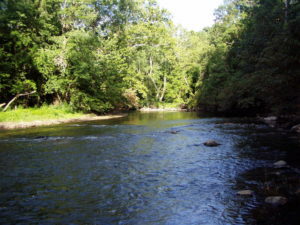 Floyds Fork is a tributary waterway to the Salt River, running 62 miles from Smithfield, KY to the confluence with the Salt River in Shepherdsville, KY. Thirty miles of the creek flows through Jefferson County, which comprises the Louisville Metropolitan area. This section of the creek is zoned rural residential to preserve its rural character. Louisville’s City of Parks initiative has created a park system, The Parklands of Floyds Fork, along the Jefferson County stretch of the creek with miles of hiking and recreational trails as well as access points for watercraft along Floyds Fork. Within the Parklands of Floyds Fork there are a number of easy access points for kayak entry. The Beckley Creek park access adjacent to the Gheens Foundation Lodge at 1440 Beckley Creek Parkway offers a short road for boat drop-off, generous parking and picnicking areas within the park. The Parklands of Floyds Fork has a great page of information for Paddling along Floyds Fork here. There is a list of access points as well as stream gauges and other helpful advice for would-be suburban adventurers. 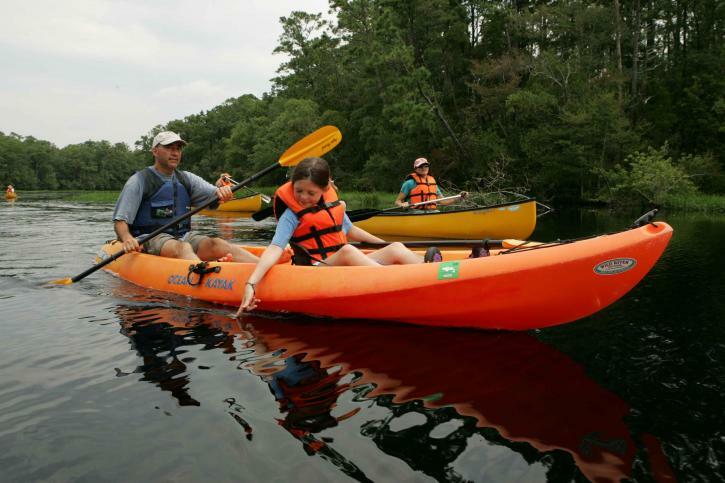 If you don’t have your own kayak, the Parklands has a kayak outfitter close by to serve your needs. Louisvillians meet regularly for kayaking fun with Louisville Area Canoe and Kayak, an informal gathering of canoe and kayak enthusiasts. You can find out more about LACK here. 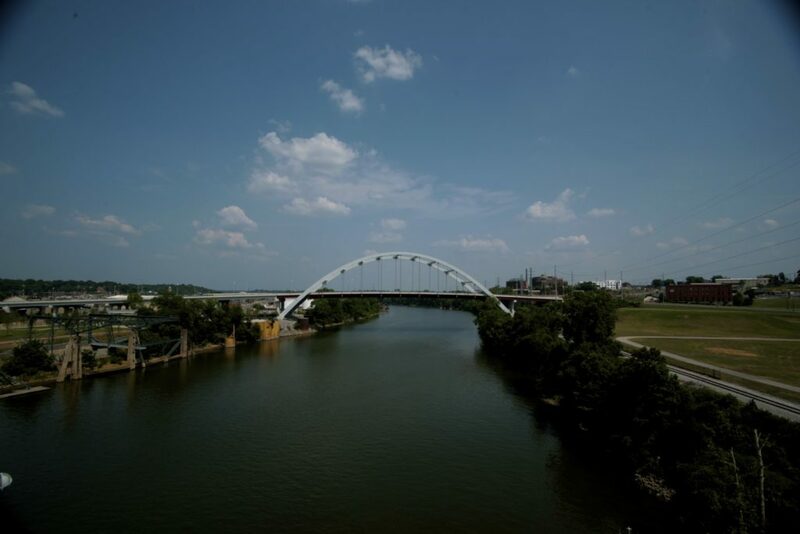 The Cumberland River stretches 688 miles from the Appalachian Mountains in Kentucky, dipping south into Tennessee where it passes through Nashville before winding northwest to it’s confluence with the Ohio River in Paducah, Kentucky. The Metro Parks of Nashville and the US Army Corps of Engineers provide a number of access points to the Cumberland River. The Shelby Park Access at 20th Street within Shelby Park features a boat ramp, parking, a Nature Center and picnicking and recreation areas. The Metro Parks of Nashville offers low-cost trips and instruction for individuals and groups. You can find out more about the Metro Park paddling trips here. Commercial outfits also offer day trips and kayak rentals for Cumberland River outings. If you want camaraderie and connections for kayaking in Nashvile, you might consider contacting a local kayaking club here. 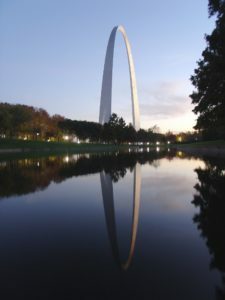 St. Louis sits at the confluence of two major rivers in North America. The Missouri river flows from the Rocky Mountains in western Montana over 2000 miles to outfall into the Mississippi River at St. Louis. It is the world’s 4th longest river and there are plenty of kayaking opportunities without traveling out of town. The Columbia Bottom Conservation Area, at the confluence of the Mississippi and Missouri Rivers is maintained by the Missouri Department of Conservation. On the Missouri River portion, there are boat ramps, parking and public toilets. The Mississippi River portion offers trails, kayak access and parking. For those interested in getting involved in the kayaking community in St. Louis, the St. Louis Canoe and Kayak Club offers outings. More information on the St. Louis Canoe and Kayak Club is available here. We hope you’ve enjoyed reading about some great opportunities for kayaking right in suburbia or even downtown! If you know some special spots in your hometown, drop us a message in the comments below. We’d love to include your town in our next article. This entry was posted in Overviews, Trips and tagged adventure, kayak trips, paddling on August 19, 2016 by Diver S.
Love kayaking so thanks for sharing your these marvelous scenic wonders. Perhaps someday I will pack up my kayak and venture to some of these spots. It is always nice to know where to kayak. I live in Montana and have found some beautiful streams and rivers to float. Montana is a beautiful state with lots of natural resources for the outdoors enthusiast to enjoy. Thanks for visiting aquamarinesports.com! I haven’t explored these sites for kayaking. I live in central OH and only a few hours drive to Cincinnati! Thanks for the information about these amazing places! Thanks for the comment, George. There’s lots of great kayaking in Ohio! It may not be closer if you are more central, but the Little Miami River goes through these eleven counties in Ohio: Clark, Montgomery, Madison, Greene, Warren, Butler, Clinton, Clermont, Brown, and Highland. Hi! Urban kayaking – that’s a new one! It’s cool that there are so many different kinds of places where you can do it. If you ever venture to the Carolinas, there’s great kayaking on the Catawba River and Lake Norman. We also have the National Whitewater Center here in Charlotte. It has canoeing, kayaking, whitewater rafting, and other outdoor activities. My dad has always wanted to do the Ohio kayak trip! It would require us to take breaks and stay overnight, but it would definitely be an adventure! Thanks for sharing these vacation tips. We are so lucky to live in the United States and have so many cool places to visit and with so many different landscapes.